With our product range, we are active both in a natural medicine tradition and also in the scientific modern age. This means that, one the one hand, we rely on traditional European herbal medicine, which reaches all the way to medieval monastic medicine, but on the other hand, we follow the latest natural science discoveries, consider current research results and apply contemporary and efficient production methods. We work enthusiastically and with dedication, keeping the ideal of a healthy life in an intact environment. We get our power from the hydroelectric power plants of the Swiss Alps, i.e. from 100% renewable resources. Furthermore, we strive towards a carbon-neutral energy balance so we can contribute to global climate protection as a company. In addition to climate protection, we focus on organic farming and participate in the programmes of the “Pro Specie Rar” foundation for the cultural-historic and genetic diversity of plants and animals. The cooperation with “BirdLife Switzerland” aims to promote leaving a near-natural favourable area for the fauna and flora with many different biotopes (among them, low-fertility meadows and rough pastures, hedge areas, open and closed woodlands). We gladly assume our social responsibility and support fair wages for all, pay fair prices and help to develop social institutions. We value organic raw materials and do not use genetically modified organisms. Thus, we depend on the natural fluctuations of the harvest caused by the weather: Sometimes there is an abundant harvest, sometimes there are few herbs and plants. Therefore, some products are temporarily unavailable. We use almost exclusively herbs from Switzerland and selected herbal raw materials from warmer climate zones. We subject all deliveries of goods to careful testing. Additionally, we are capable of tracing all starting materials back to their origin. With all our raw goods, packaging and in transport, we want to find the best possible harmony between regional origin, nature conservation, the use of organic plants and profitability. This is a complex task because although there are many organic producers on almost all continents (which also offer herbs and medicinal plants for very good terms), we ask ourselves in the first place whether it makes sense to transport the herbs thousands of miles when there are also regional or at least European providers of them. However, at the same time, we know that organic cultivation is often the only possibility for many developing countries to earn enough revenue on the international market. In addition, the question arises whether commercial plant cultivation makes sense when the same plant very often grows naturally in other countries and can therefore be collected in the wild in a controlled way. 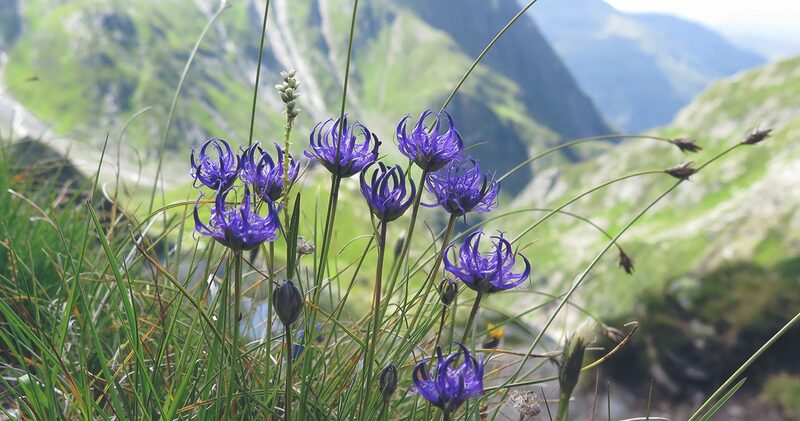 Therefore, we have decided to purchase most of the plants from Switzerland, as they thrive here in the Alps and in hilly and mountaneous regions. We get them from small selected farms in rural areas away from industrial zones and urban settlements. If they are special plants or herbs, we get them from more distant countries – whenever possible also of organic quality and from smaller manufacturing businesses for fair terms. All important production steps and the final inspections take place in Switzerland – according to strict Swiss quality criteria. Even if they hide strong powers, medicinal herbs are little delicate plants. They have to be harvested with care and processed subsequently while protecting their valuable substances as much as possible. Traditional knowledge about picking, drying and storing is accompanied by modern state-of-the-art technology and laboratory techniques. We produce our dietary supplements in Switzerland according to strict pharmaceutical manufacturing rules, thereby meeting the highest GMP requirements. Our quality standards lie above statutory provisions. We let our starting materials and end products be tested and analysed by independent agencies such as federal and cantonal laboratories. We put our products carefully together under scientific and therapeutic considerations. They are largely allergen-free and contain no preservatives or artificial colorants, fragrances or flavourings. We use only complete plants or plant parts to ensure that the valuable secondary plant substances are extracted too. Our formulations are generally well tolerated and quickly absorbed by the body.